September 18, 2018 (New York, NY) - Leading racial justice organization Race Forward today announced that esteemed comedian, writer, and podcaster Hari Kondabolu will deliver a keynote address at the nonprofit’s upcoming Facing Race conference, to be held at the Cobo Center in Detroit, Michigan from November 8-10. 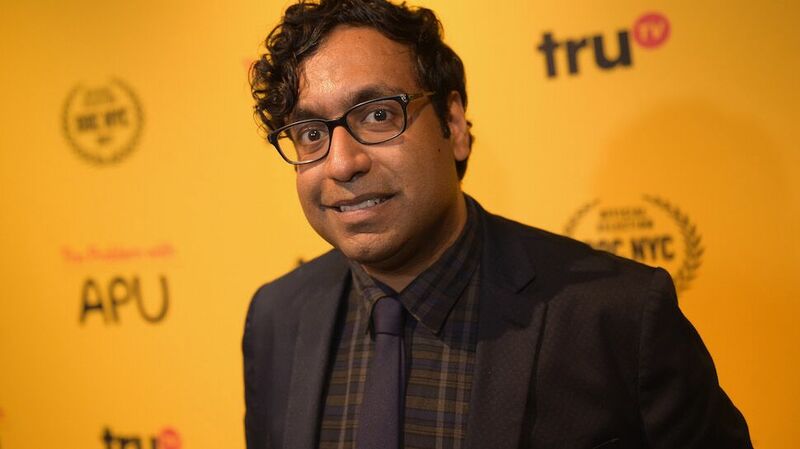 Kondabolu—who has been described by the New York Times as “one of the most exciting political comics in stand-up today”—is the second of two keynote speakers to be announced for the Detroit conference, joining #MeToo founder and social justice activist Tarana Burke. “I’m excited to be performing at a conference with such brilliant and passionate people who are actively working for racial justice in this country,” said Kondabolu. In addition to Kondabolu and Burke, Facing Race attendees will have the opportunity to hear from more than 210 prominent activists, artists, educators, and other leaders, including esteemed author adrienne maree brown, actress Dawn-Lyen Gardner, and activist Bree Newsome. In reflection of Race Forward's commitment to supporting locally-owned businesses and advancing local leadership within Detroit communities, the Facing Race team has spent the last year working in partnership with local organizers to ensure that the 2018 conference adheres to the principles of Community Benefits Agreements. With this Agreement, Race Forward aims to center the leadership, skills, and entrepreneurship of communities of color and other historically disadvantaged communities in Detroit. This is Race Forward’s ninth Facing Race conference, and the first to be held at a convention center after the record-breaking turnout in 2016, when over 2,000 people joined Race Forward for the sold-out conference in Atlanta, GA. Previous speakers have included Jose Antonio Vargas, Roxane Gay, Melissa Harris-Perry, Van Jones, and W. Kamau Bell. Highlights from previous conferences can be found via reporting from Colorlines, an award-winning investigative news site published by Race Forward. Videos of past Facing Race keynote and plenary presentations can be found here. For the latest updates on Facing Race 2018, follow on Facebook and Twitterwith #FacingRace. Press are encouraged to attend, with a variety of resources offered including interviews with keynote and plenary speakers. Apply for a media credential here. All media inquiries should be directed to media@raceforward.org. Race Forward united with Center for Social Inclusion in 2017 to become the new Race Forward.